Creatures and people that don't exist outside of myth, legend and comic books. An alien is someone or something from another place that doesn't belong here. 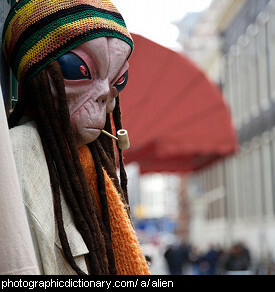 An alien might be a person from another country, or they might be a creature from another planet. 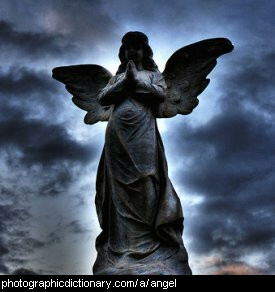 An angel is a messenger from a divine being. They are usually drawn as a person with wings. The picture is a statue of an angel. 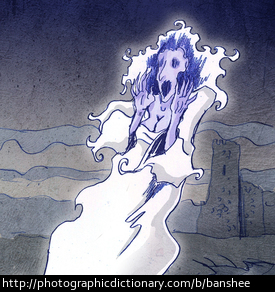 A banshee is a female spirit or ghost who wails to signal the death of someone. A chimera is a monster with the head of a lion, the body of a goat, and the tail of a snake. Cupid is a cherub. 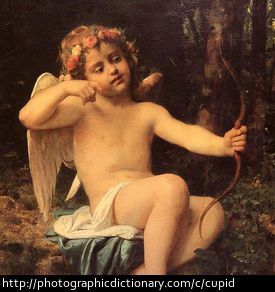 Cupid carries a bow and arrow, and when he shoots people they become passionate and full of love. 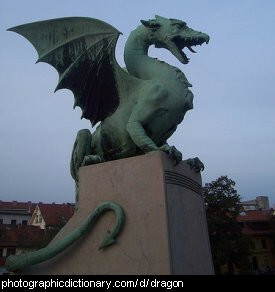 A dragon is a kind of large reptile that does not actually exist - it is mythical. Dragons are often described as having wings, four legs and are able to breathe fire. The picture is of a dragon statue. 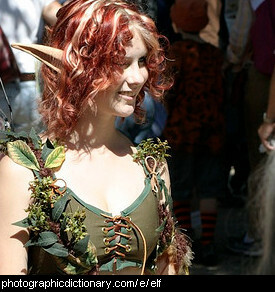 An elf is a mythical or fantasy creature, usually depicted with pointed ears. Elves live in forests, have some magical powers and are prone to mischief on humans. 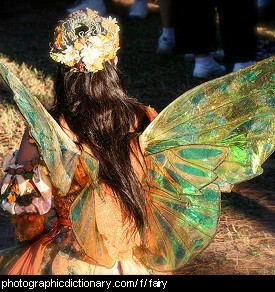 A fairy is a tiny imaginary creature that is usually depicted as a small, pretty girl with wings. Fairies often have magical powers and can sometimes grant wishes. 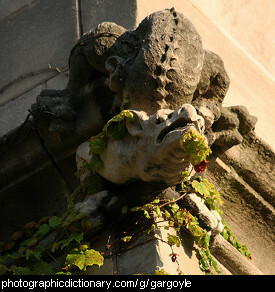 A gargoyle is an ugly, even grotesque, ornamental water spout, usually found on extremely old buildings before gutters and downpipes were used. Gargoyles are ugly so they scare off evil spirits. 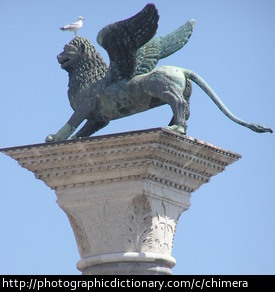 Ugly statues that are not water spouts are called chimeras. 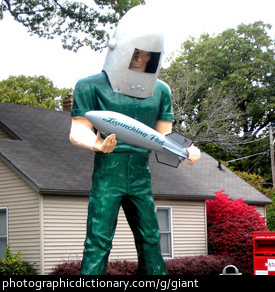 A giant is a very big person or animal that you can read about in storybooks. Some large varieties of animals have giant in their name, like a giant anteater.